This Old Timer spring assisted knife is built with a textured wood handle and bead blasted clip point blade. 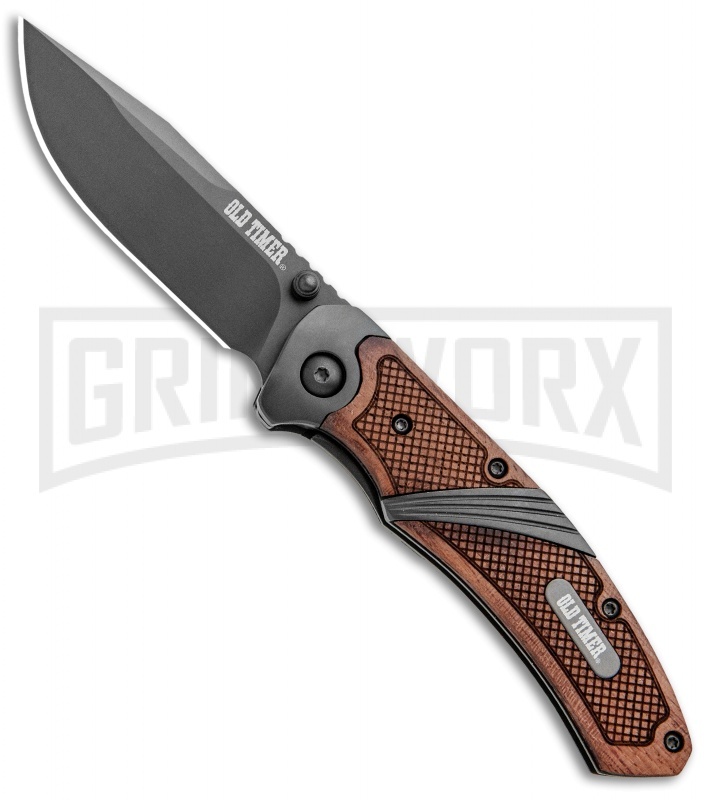 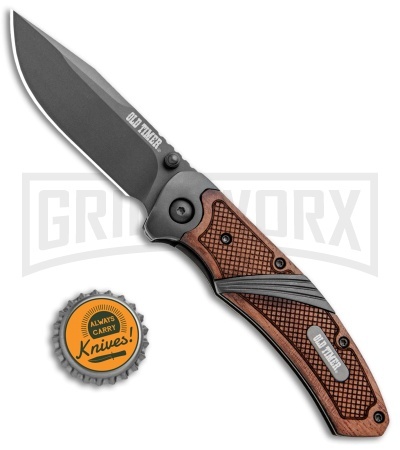 It features a solid EDC design that was built tough to tackle any cutting task. 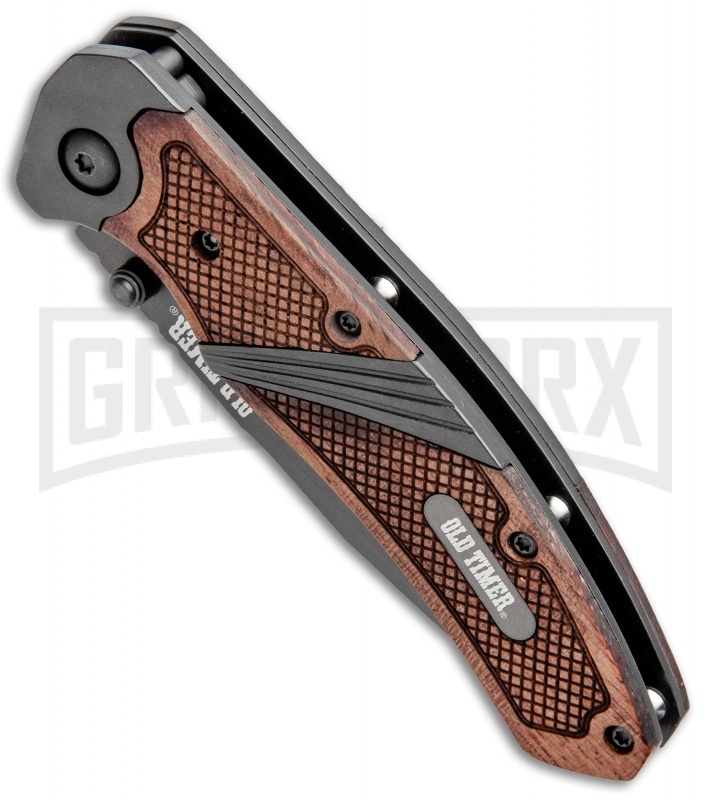 The wood handle is textured for grip and backed up by a Ti-nitride coated frame. Dual thumb studs open the blade up smoothly and a liner lock mechanism provides excellent lock up. 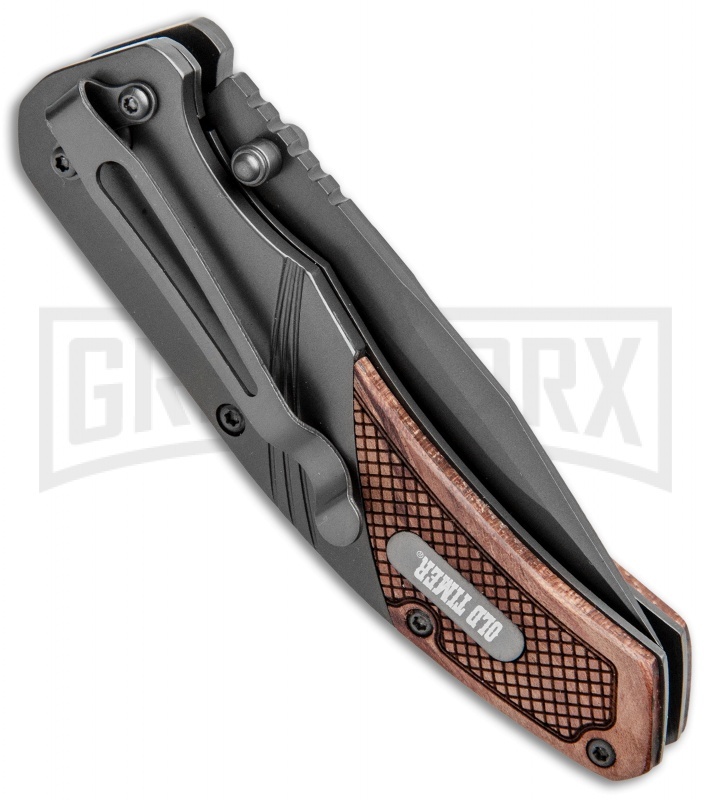 A pocket clip is included for comfortable carry.